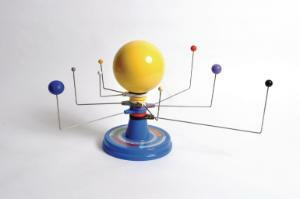 This nicely constructed three dimensional model is a great way to explain the solar system to students. The model is mounted on a sturdy base. Includes a key.